An unnamed lake town that comes alive during the summer. The visiting tourists spend their quite, picturesque holidays and leave when summer ends, unaware of the secrets that haunt the small community. Unaware of the strange blue girl that eats moon pies filled with cream and lies. Unaware of the mothers who pour their faults and darkest secrets in the sweets, suffocating the Blue Girl, dragging her down in their mud. Unaware of the daughters’ struggle to make amends for their mothers’ mistakes. Unaware of the fathers who ignore everything and everyone. The moon pies contain secrets too terrible to share. Secrets born out of regrets and wrongdoings, of stalled lives and unfulfilled wishes. 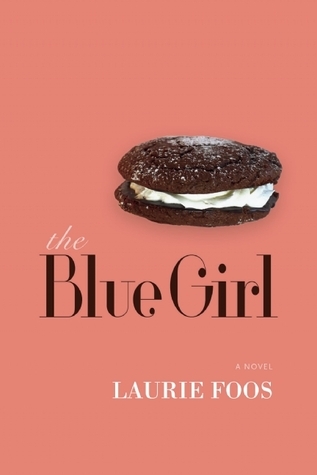 Laurie Foos creates a contemporary tale using symbolism and psychology in a powerful, haunting scenery. The moon associated with womanhood and passion. The sweets, so deceptive in their nature, so tempting and harmful. The colour blue, a shade of guilt, melancholy and mystery. The thoughts of mothers and daughters conveyed through the haze, interrupting the silence of the girl who has no voice of her own. She still retains her own free will, though. The question is what will she choose to do with it? Great review, Amalia! Coffee House Press has been publishing such strong work lately, across all genres, and I’ll have to consider adding this to my list. Τhank you so much, Michael! I agree, their Literary Fiction choices are extremely interesting. Wow, this sounds impressive and so unique, Amalia! I am adding it! Lovely review! I just finished Melmoth and this book sounds a bit like it. Glad you enjoyed it and I will be on the look out for it at my library. Perfect review, Amalia! Thank you so much, Marialyce! It couldn’t be more different than Melmoth, in my opinion. Melmoth is a masterpiece, a novel that reaches to us once every 20-30 years. The Blue Girl is very interesting and quite unique, though.